Caption - This Baldwin 2-8-0 no.1326 was built in 1895 and was 85 years old when this photo was taken. 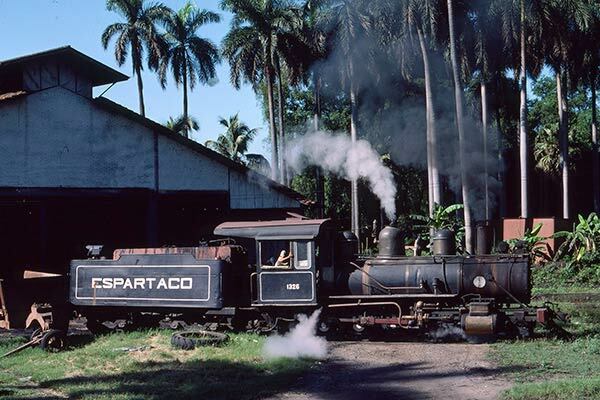 1326 was part of Central Espartaco sugar mill's small fleet of steam locos used on its 2ft 6in gauge system. The large commodious cab is typical of US built steam locos.